Get lost in your creativity with 365 Days of Drawing, a thoughtful and inspiring art journal designed to help you carve out moments of self-expression. Divided into twelve-monthly themes, such as nature, portraiture, using colour, calligraphy writing, plus much more, each task is designed to expand your creative skills and spark the artist within. 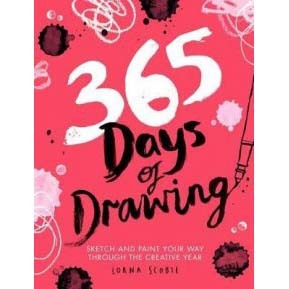 With helpful prompts and inspiring tutorials that show you how to draw using different materials such as pen, pencils, chalk, paints, gel pens and collage, 365 Days of Drawing is a stunning keepsake as well as well as a powerful tool for positive change.